The auction season has started for Sotheby’s with three important sales over two days. Sotheby’s Hong Kong autumn sales 2012 begin this week and the first two days will see three sales: “The Classic Cellar From A Great American Collector” and “Important Wines From The Connoisseur Collection” on the first day, followed by Fine and Rarest Wines on the following day (6 October). The auction house’s inaugural Hong Kong wine sale for the season, The Classic Cellar From A Great American Collector, features 343 lots and has a total estimated value of HK$18-$25 million (£1.4-£2 million). This sale represents the 10th part of the greatest single-owner wine collection in Sotheby’s history and is “dominated by an unrivalled collection” of benchmark Bordeaux first growths and their right bank equivalents. The sale will be swiftly followed by the second wine event of the autumn sales, with the 674-lot Important Wines From The Connoisseur Collection, estimated at HK$14- $20m (£1.1-£1.6m). This local collection features an impressive range of lots from Bordeaux, spanning 90 years, to an equally exciting number of Burgundies, the highlight of which comprises around 30 lots of Domaine de la Romanée Conti and Henri Jayer. The following day (6 October) will see the final wine sale of the season with Fine and Rarest Wines featuring 772 lots. 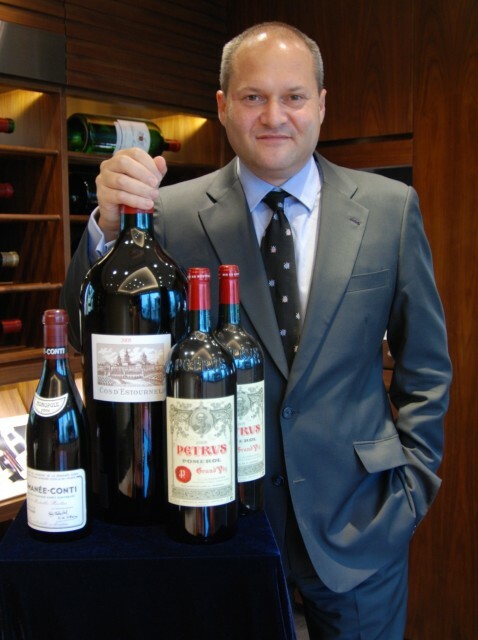 This sale, with an estimated HK$20-$28m (£1.6-£2.2m) value is extensive, with over 550 lots of fine Bordeaux in classic vintages such as 1990, 1996, 2000 and 2005, including a number in significant parcel quantities. Thirty lots from DRC are also offered, with the highest value lot of the two days being nine bottles of Romanée Conti 1990 estimated at HK$1.1-$1.6m (£88,000-£128,000). A series of top Champagnes and cult Californian wines are also on offer.